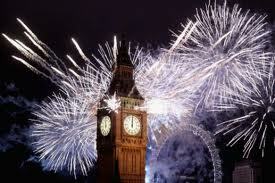 2012 has been welcomed in with the biggest celebrations ever, especially the brilliant fireworks in London. 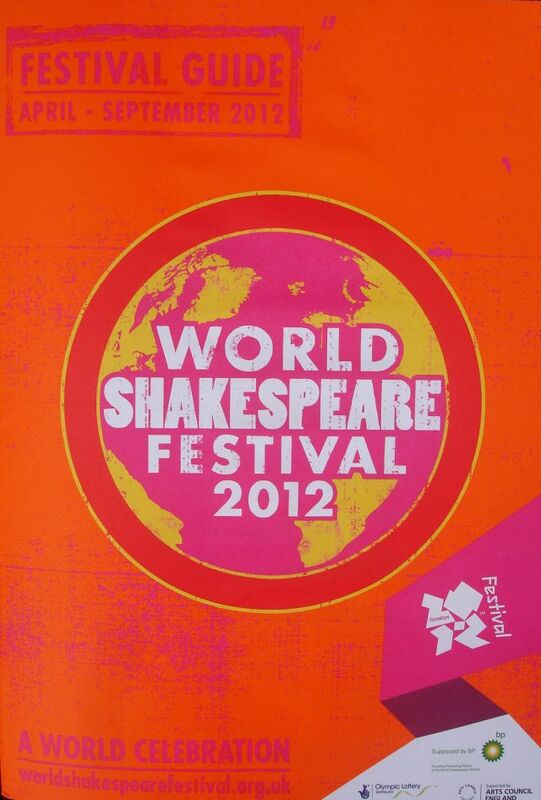 The Olympic Games don’t open until July, but the World Shakespeare Festival begins in April and continues until September. The original Greek Olympic Games included culture as well as sport and the Cultural Olympiad for this year revolves around the UK’s greatest cultural export, William Shakespeare. I wrote about the World Shakespeare Festival when the first details were released back in September. A lot more flesh has been put on the bones now and can be found on the official website for the Festival. 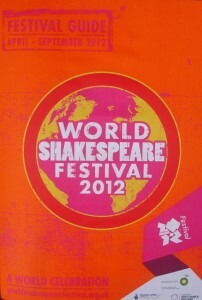 Another sign the Festival’s getting on its way is that it now has its own twitter hashtag #WSF2012: let’s hope it gets busy! The most eye-catching element is the Globe to Globe Festival which over only a few weeks will see 37 international companies each performing a play in a different language. It’s a witty idea to perform Love’s Labour’s Lost, Shakespeare’s most linguistically complex play, in British Sign Language. Elsewhere there are going to be top-notch performances: Simon Russell Beale as Timon, Jonathan Pryce as Lear, and Mark Rylance at the Globe repeating his performance in an all-male, original practice Twelfth Night, as well as Richard III. The Royal Shakespeare Company was invited to organise the festival, and this year Stratford expects to welcome record numbers of tourists to the town. It’s no coincidence that the third new chain hotel is now nearing completion on the edge of the town centre. The RSC will host shows from 50 professional companies from around the world as well as many amateur groups. Some of these will be spectacular, even if they don’t appear to be particularly Shakespearian: as part of their performance the acrobats from the Companhia Bufo Mecanica in Rio de Janeiro will abseil down the RST’s new 36 metre tower. In London the British Museum’s exhibition Shakespeare: staging the world will explore the London of 1612 to see the era through the eyes of Shakespeare, his players and audiences. Its sure to be impressive, relating objects from the museum’s collection to Shakespeare’s plays. But I’m still concerned that this festival will bring people in to theatres who already like going to the theatre, and will bring existing museum visitors in to their exhibition. Mark Rylance and 50 other actors promise to ambush passers by with bursts of Shakespeare, but as far as I can tell only in the capital. 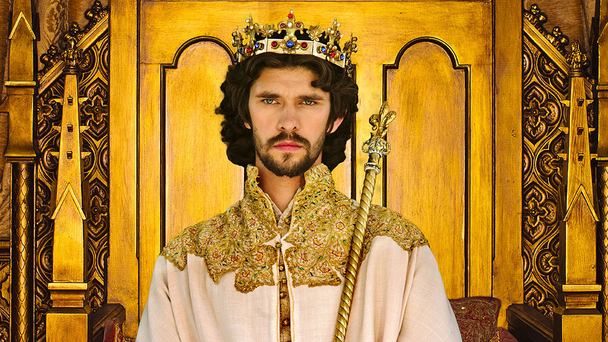 The part of the Festival that I’m looking forward to most is the BBC’s cycle of history plays from Richard II to Henry V. Shakespeare on TV has always been influential, bringing the plays right into people’s homes. Click on the link for a rundown of the stellar cast, including many of our finest actors under Sam Mendes as Executive Producer. These productions will showcase British talent, and will be distributed to audiences around the world. The RSC’s stage production of Julius Caesar will also be filmed and broadcast by the BBC. In sport competitors have to match themselves against each other to decide on a winner: in the arts collaboration is more important than competition, and I’d have loved to see a simultaneous broadcast featuring performers from many countries beamed all over the world. Let’s hope the Festival will succeed in taking England’s greatest cultural product out to the world. This entry was posted in Legacy, Shakespeare on Stage, Stratford-upon-Avon and tagged BBC, British Museum, Cultural Olympiad, Globe Theatre, Love's Labour's Lost, Olympic Games, Royal Shakespeare Company, Sam Mendes, World Shakespeare Festival. Bookmark the permalink. Hooray for everything you have said, and I hope will continue to say in future. In a world full of negatives you have shown us all the positives and how much we have got to look forward to this year. Thanks. I read that the Globe is capturing the entire Globe to Globe festival. It will be available on a website called The Space. The Space will launch on 1 May.